Product categories of Tension Fabric Display, we are specialized manufacturers from China, Tension Fabric Displays, Fabric Pop Up Display suppliers/factory, wholesale high-quality products of Pop Up Display R & D and manufacturing, we have the perfect after-sales service and technical support. Look forward to your cooperation! 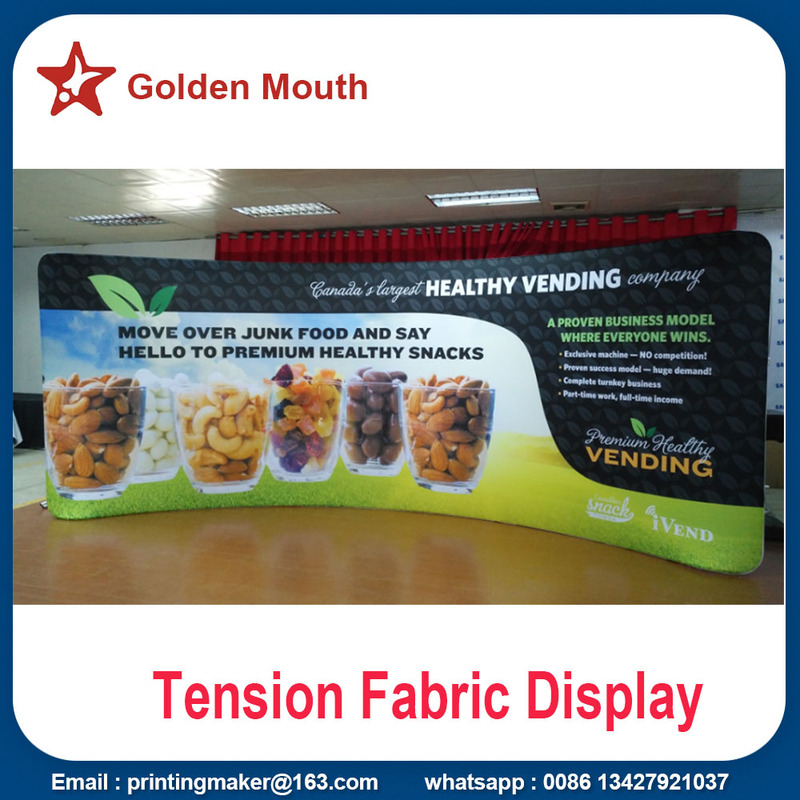 Our Tension Fabric Display is 240g and 280g stretch fabric with dye sublimation printing plus strong aluminum frame. It is very easy to assemble and store. LED lights on the top of the display stand is available. We have different shape of our tension fabric displays ,such as curved fabric tension displays , straight fabric tension display ,pop up tension fabric displays , oval tension fabric counter ,tension fabric hanging banners. Custom size and shape is acceptable. Suitable for exhibitions, events, conferences, showrooms and retail. The most important is that the cost is very economical , you just need to buy the aluminum frame one time , and easy to change the graphic banner for your next trade show ,events .ect. Double sides printing is available .So this means you can use the banner twice. and show the different graphic on double sides on the same time . 1. what is the difference between graphic only, or graphic included option? --- Graphic only is for old customer to replace graphic printed banner .Graphic included means printed banner add aluminum frame. 2. do you provide design service ? --- Yes ,we have template for desig.